Dr. Sophia Barinova is a Senior Researcher at University of Haifa, Israel. Dr. Sophia Barinova did Ph.D in Institute of Botany, Russian Academy of Science, St.-Peterburg in Botany. She has published over 50 articles and book chapters and abstracts. 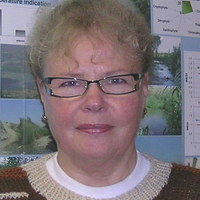 She has served as reviewer for many journals and received various awards and honors.